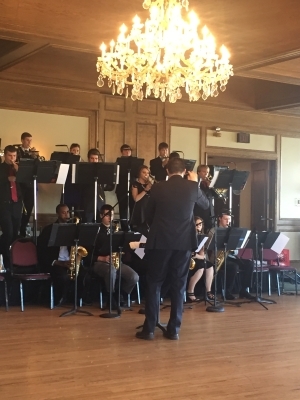 The Grove City Jazz Bands will be hosting the annual Jazz Dinner Dance on Friday, April 26, 2019 at The Boat House at Confluence Park in Columbus. This is a formal event where the two Grove City Jazz ensembles will perform in a professional environment at the beautiful Confluence Park, overlooking the City skyline. Parents, Students, Family and Friends dress up and enjoy a wonderful evening of great music, food and dancing. Check out our Facebook Event. See our Facebook Event page!